Since taking office, Obama authorized numerous police state measures. They follow earlier ones under George Bush. They’re heading America for full-blown tyranny. It’s already a hair’s breadth away. It could arrive any time full force. It’s been wrapped in the American flag all along. Most people don’t know how seriously their rights are compromised. 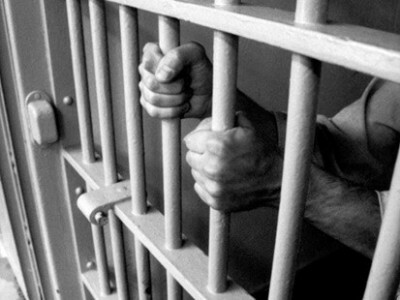 Thousands of political prisoners in America’s gulag hell testify about police state harshness. Much worse ahead looms. Bush administration officials, of course, originally authorized military commissions. They’re lawless by any standard. They permit torture. They deny international law protections. They let presidents convene them against “unprivileged enemy belligerents” or anyone designated a threat to national security. Any reason can be claimed or none at all. They deny speedy trials or any at all. They legitimize torture extracted evidence. They also permit hearsay and secret evidence unavailable to counsel. They deny due process and judicial fairness. They destroy human dignity. They mock rule of law principles. They sanction kangaroo court justice. He lied. He spurned inviolable international and constitutional principles. On December 31, 2011, he went further. He signed the 2012 National Defense Authorization Act (NDAA). It legitimized indefinite detentions. It included US citizens at home and abroad. America’s military may arrest and imprison them uncharged. It permits holding them without trial based on suspicions, hearsay, secret evidence, or none at all. No reasonable proof is needed. Presidential diktat authority has final say. No one anywhere is safe. Due process, civil protections, and judicial fairness became null and void. Presidents may order anyone arrested and imprisoned for life without charge or trial. Abuse of power replaced rule of law protections. It’s US statute law. It violates international and constitutional provisions. It’s one step closer to full-blown tyranny. Administration lawyers claim US citizens are legitimate targets. Presidential authorization alone is needed. Inviolable rights no longer apply. Protesting imperial lawlessness, social injustice, corporate crime, government corruption, or political Washington run of, by and for rich elites can be criminalized. So can free speech, assembly, religion, or anything challenging America’s right to kill, destroy and pillage with impunity. America’s less safe to live in than ever. There’s no place to hide anywhere. It never went away. Senator Dianne Feinstein’s amendment claimed to limit military detention. It nominally exempted US citizens and permanent residents apprehended domestically. It did more harm than good. It hardened indefinite detention. It legalized detaining students with visas, tourists, immigrants and others indefinitely. It left citizens and permanent residents vulnerable. If arrested, it authorized due process. NDAA mandates military commissions. Civil ones aren’t allowed. Kangaroo justice is certain. Feinstein’s amendment made bad 2012 legislation worse. Habeas rights were denied. Freedom took another body blow. Police state harshness hardened. Presidential diktat authority was endorsed. Weeks earlier, senators approved it. On December 18, Senator Carl Levin said “language of the Senate bill was dropped.” He stopped short of explaining more. Is means no one entitled to habeas “availability” shall be denied it. Anyone authorities arrest is assumed ineligible. Plaintiffs successfully argued that ambiguous language like “substantially supported,” “associated forces,” and “directly supported” leave them and others vulnerable to lawless indefinite detention. In response to Judge Forrest’s ruling, administration officials appealed. They said she exceeded enjoining NDAA’s Section 1021. They granted a stay on her injunction. She questioned 2001 Authorization for use of Military Force (AUMF) interpretation. Its language and NDAA’s Section 1021 aren’t the same, she said. “They are not co-extensive. Military detention based on allegations of ‘substantially supporting’ or ‘directly supporting’ the Taliban, Al Qaeda, or associated forces, is not encompassed within the AUFM and is enjoined by this order regarding NDAA”. Obama officials argued she overstepped. She took “it upon (herself) to disagree with an interpretation of the military’s detention authority that had previously been endorsed by all three branches of government,” they claimed. In June, she issued a preliminary injunction against enforcing statute provisions she questions. While appealing her ruling, Obama officials didn’t block it. After making her injunction permanent, they asked for an emergency stay. They claimed she made an “unprecedented” ruling. They said it affects wartime matters. On September 17, Second Circuit Court of Appeals Judge Raymond Lohier issued a one-page order. It stayed Forrest’s decision until a three-judge panel rules. On September 28, arguments were heard. Judgment rendered said banning indefinite detention is disallowed until further consideration on Obama’s appeal is heard. On December 12, attorneys Carl Mayer and Bruce Ira filed an emergency appeal with Supreme Court Justice Ruth Ginsburg. They cited gravely compromised constitutional rights. They petitioned for injunctive relief (Emergent Application to Vacate Temporary Stay of Permanent Injunction). They requested reinstating Judge Forrest’s ruling. Ginsburg handles these type emergency matters. She can decide on her own or request other colleagues join her. On December 14, Ginsburg denied their request. She claimed it improper to interfere with appeals judges expediting their ongoing review. She said caution should be exercised in light of nullifying a lower court ruling. Appeals judges will rule next year. If injunctive relief is denied, expect petitioning the Supreme Court to follow. On May 18, the House passed the 2013 NDAA 299 – 120. On December 21, the Senate followed suit 81 – 14. Obama will choose time and place to enact it. Doing so is criminal lawlessness. Malfeasance comes easy to him. He’s a serial war criminal. Both Houses trashed international and constitutional law. They further institutionalized imperial wars. They also endorsed locking up US citizens and permanent residents uncharged. They favor holding them indefinitely in military prisons. They support denying them due process and judicial fairness. They judge them guilty by accusation. Tyranny came one step closer to full-blown. Its full force could arrive any time. Stephen Lendman lives in Chicago and can be reached at [email protected]global.net.